Suffolk House Antiques | A fine Charles I oak Somerset coffer. A FINE CHARLES I OAK SOMERSET COFFER. 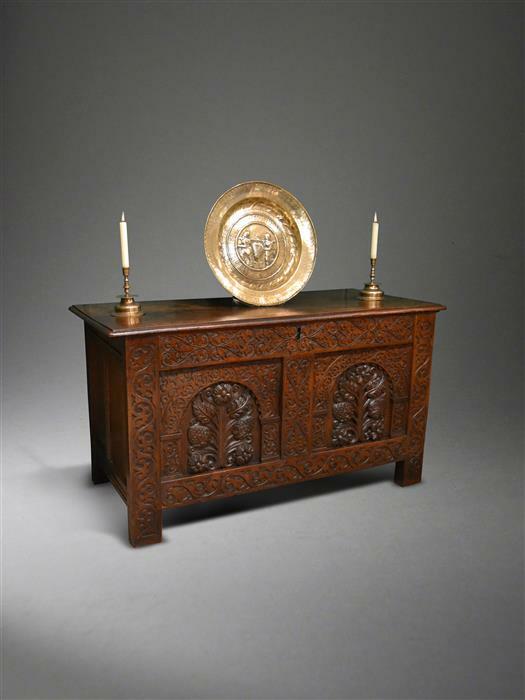 Probably dating from about 1640, this coffer is almost certainly from the Somerset area. Of conventional form, it has a moulded edge top secured by its original iron strap hinges, a large interior till or candlebox, panelled sides and back and a boarded bottom. However, it is the quality of the carving on the front which makes it outstanding. There are two arcaded panels with superb floral carving that is just under one inch deep and this is surrounded by fine quality strapwork. 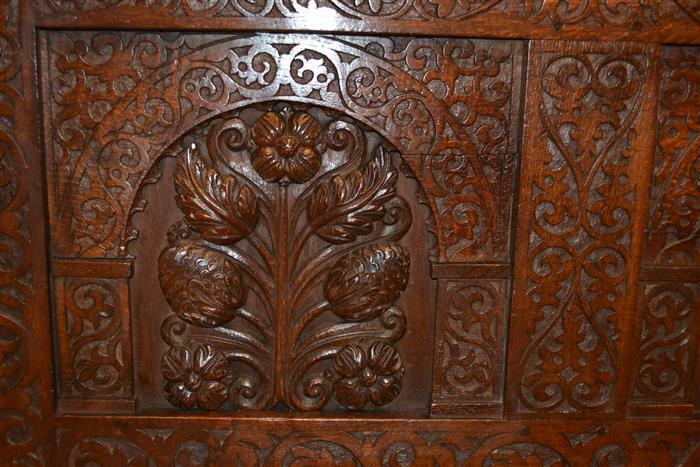 See Victoria Chinnery "Oak Furniture" pages 455-457 for similar examples of Somerset carving. Lovely colour typical of West Country pieces. 50 inches wide x 22 inches deep x 28 inches high. It is priced at a very reasonable £1150.